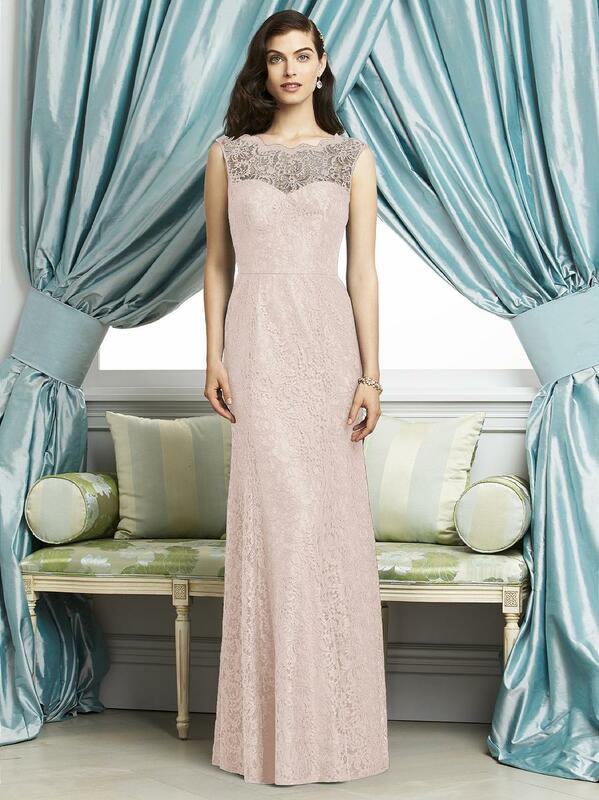 Full length sleeveless marquis lace dress with sheer yoke detail and open back. Flared trumpet skirt. Dress available as solid only. Sizes available: 00-30W, and 00-30W extra length.